The GeForce GTX 660 is built for fast and fluid 1080p gaming in the latest DirectX 11 and NVIDIA PhysX-enabled games. Therefore, you ought to keep GeForce GTX 660 driver up to date for the best gaming experience. Product Type to be GeForce, Product Series to be GeForce 600 Series, Product to be GeForce GTX 660, Operating System to be (according to your PC). 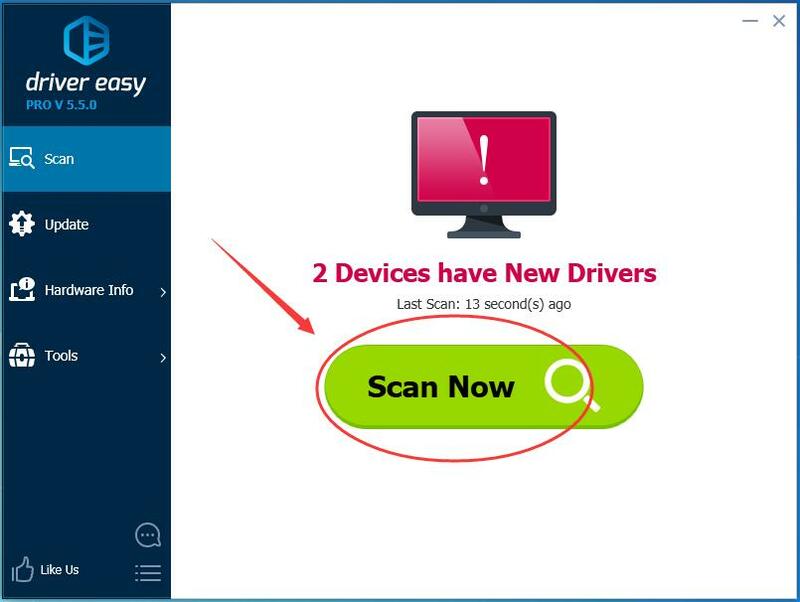 Note: See How to check Windows Operating System Version. 2) Click DOWNLOAD and then install by prompts. 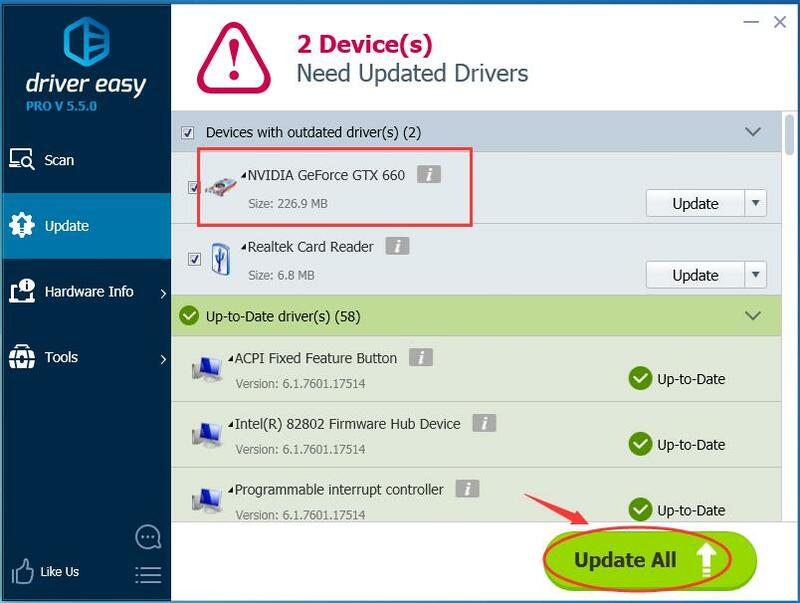 If you don’t have the time, patience or computer skills to update the GTX 660 driver manually, you can do it automatically with Driver Easy.